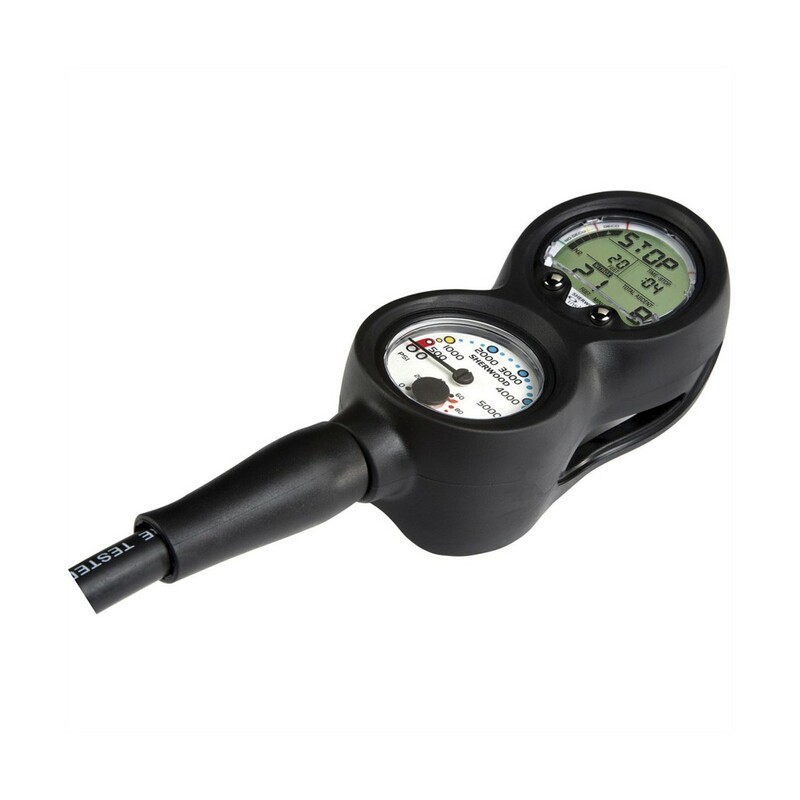 InSight Navigational Console includes a dive computer, 5000 psi pressure gauge w/temp. and a compass. 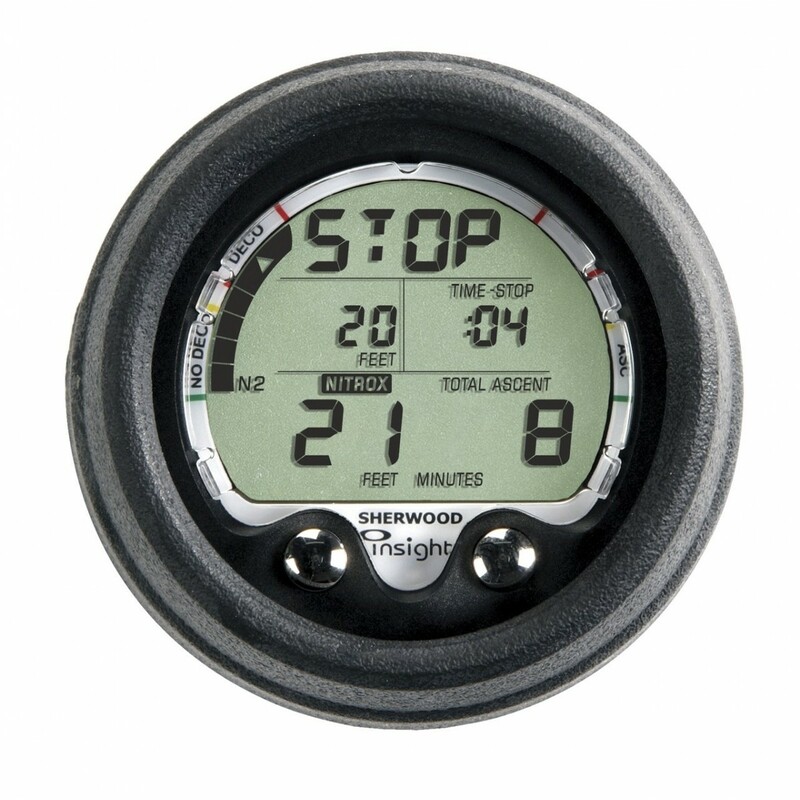 New from Sherwood Scuba! 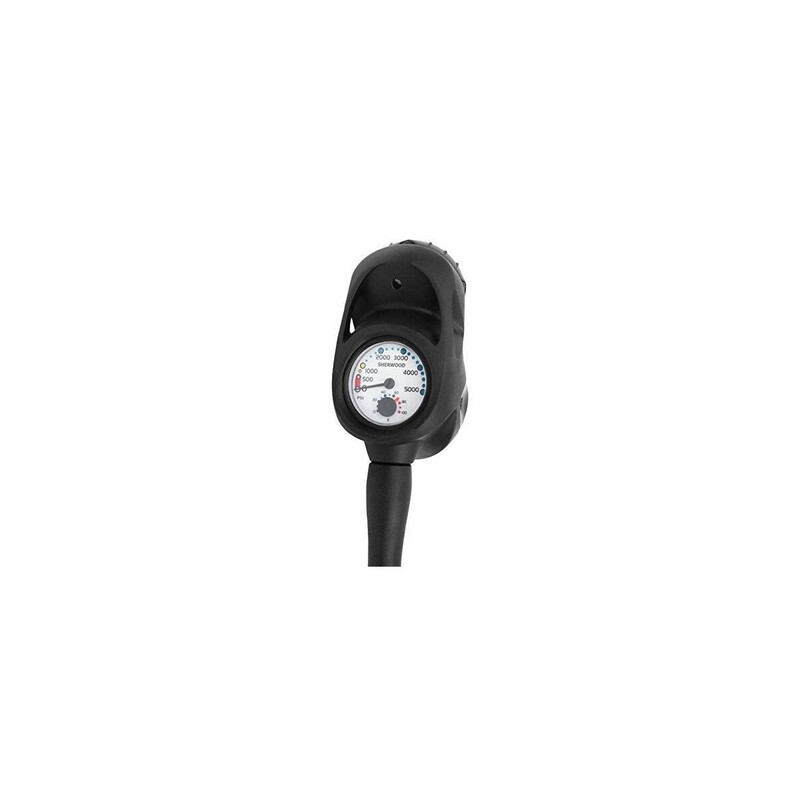 InSight Navigational Console includes a dive computer, 5000 psi pressure gauge w/temp. and a compass. 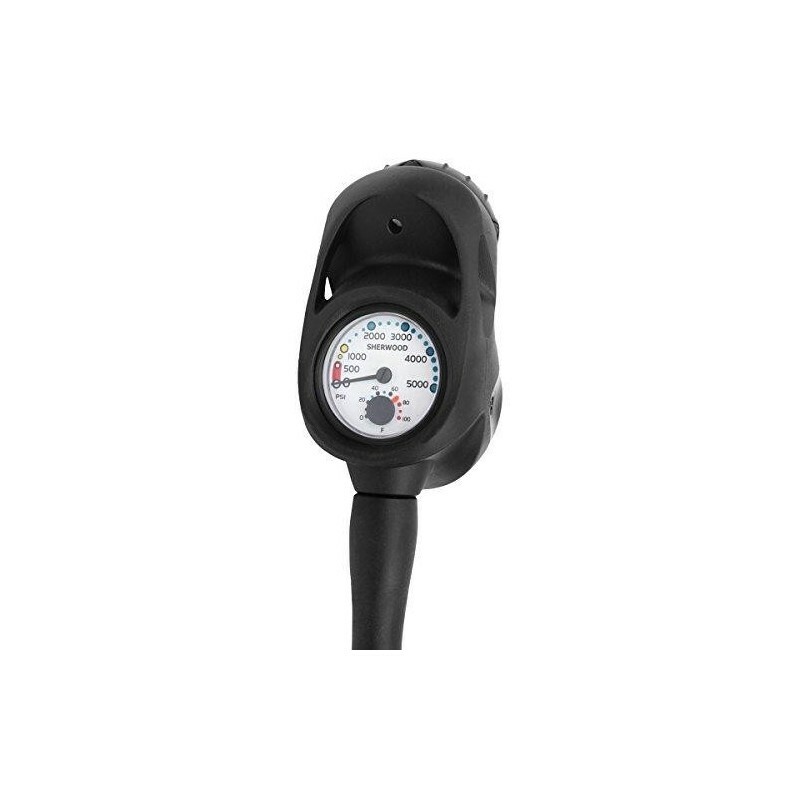 The InSight and the pressure gauge have a 1.75" diameter. Also available in metric. 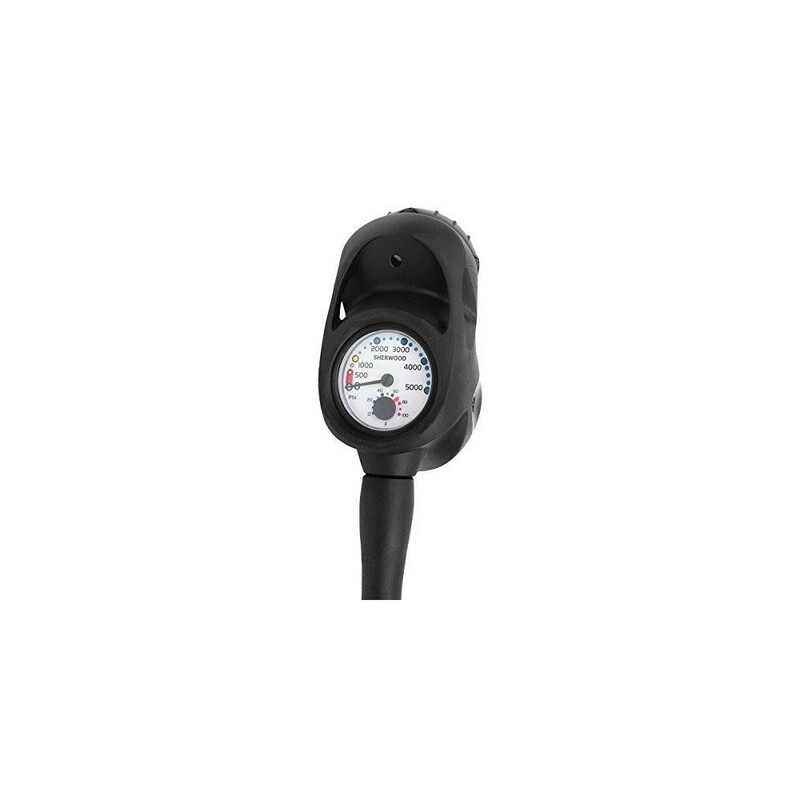 Features 0-5000 psi pressure gauge. Newly designed compass. InSight dive computer. Insight Features Exceptionally intuitive display. 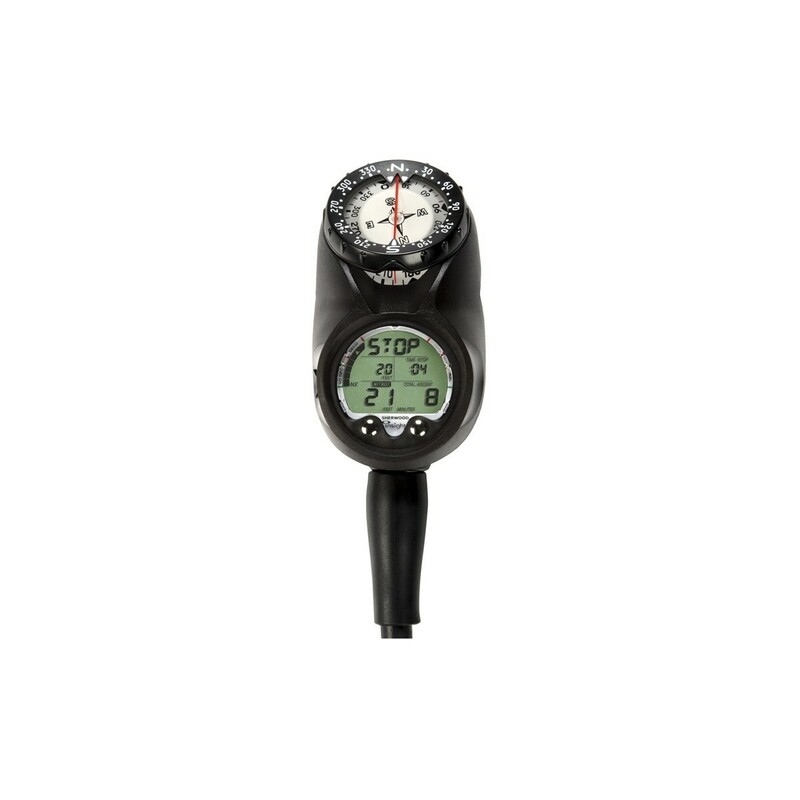 Air/Nitrox - User Selected Three screens in Dive Mode - User Selected Imperial or metric - User Selected Dive log sample rate - User Selected Pre-dive planning Depth - User Selected Time of Day (dive & surface). 24 HR. or AM/PM time modes. Month and day display. Large 270 nitrogen absorption graph. 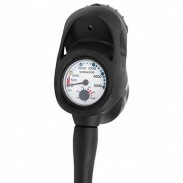 Maximum depth - 330 FT. Deco stops to 60 ft. Safety stop countdown timer. Water or manual activation. Visual warnings and alarms. Automatic altitude adjustment - to 14,000 ft. Detailed Log up to 50 dives. Long-life, consumer replaceable battery. HydroGlow illumination (dive & surface). Replaceable lens protector. PC downloadable. Nitrox Mode 21% to 50% FO2 Nitrox indicator icon. 50% FO2 default - User selected. 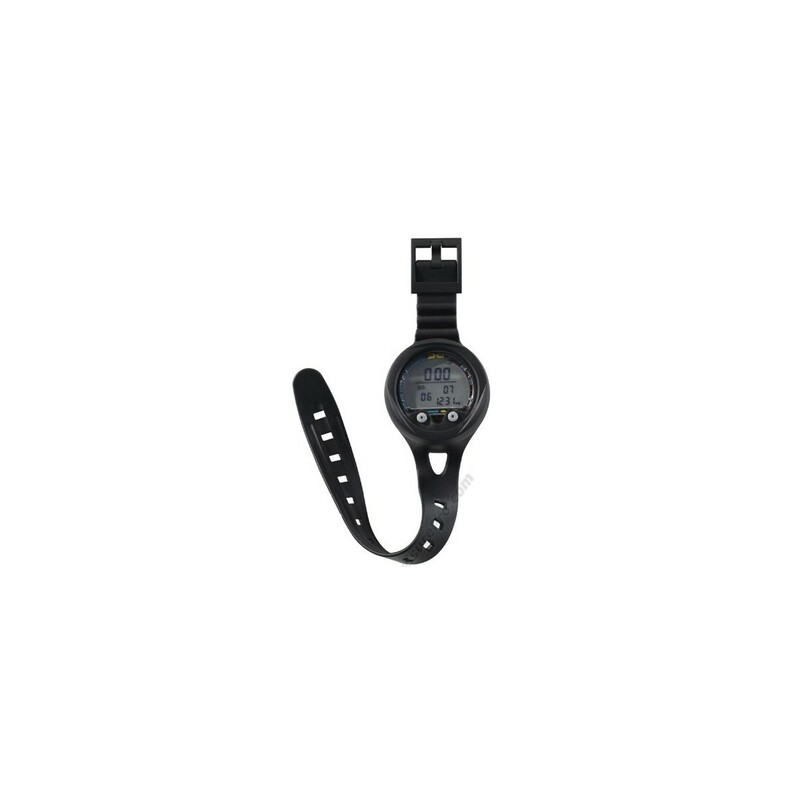 O2 Sat display (dive & surface). FO2 display (dive & surface).